New Mexico. 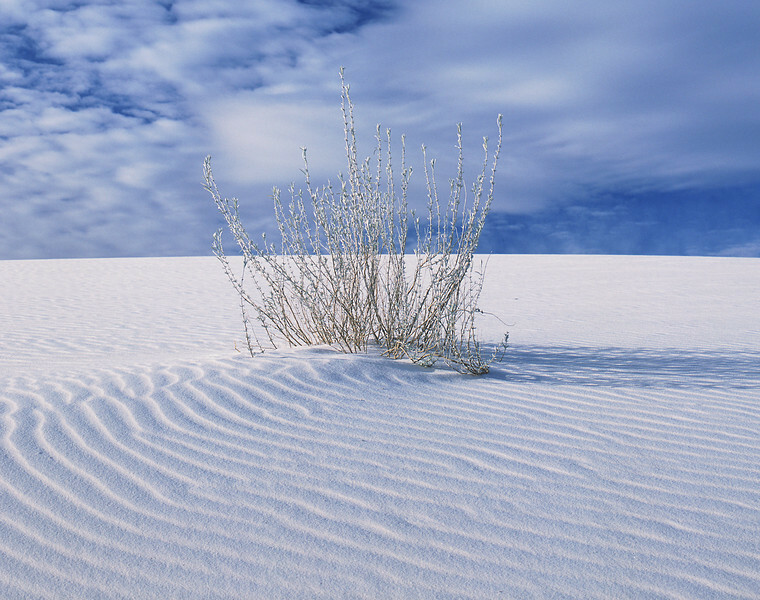 The rising sun emphasizes the wind-molded contours of a dune at White Sands National Monument southwest of Alamogordo. To 30" on the long side. Click on this preview image for a full-screen view.